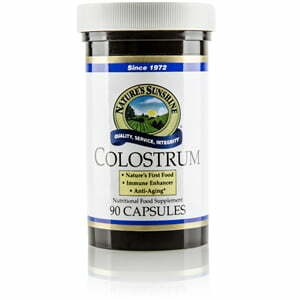 Nature’s Sunshine Colostrum nourishes the immune system and may provide passive immunity. Colostrum, a substance found in milk from lactating mammals, is a super food that contains immunoglobulins and immune boosters. 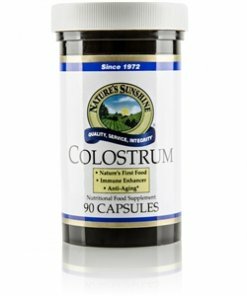 Colostrum supports newborns by providing them with immune system support and passive immunity until they can develop their own immune systems. Nature’s Sunshine Colostrum comes from bovine sources. Instructions: Take one capsule four times daily, one hour before meals and bedtime.